Violently incompatible stories swirl about the little town of Oswiecim/Auschwitz, as if two quite different places had somehow managed to co-exist there, sixty years ago. These stories cannot all be true. The United Nations has requested that Holocaust Memorial Day be commemorated on January 27th - the day the Auschwitz camp was ‘liberated’ in 1945. Let us make a website to honour this day, i.e. one which will hold a memory of the Auschwitz camp. It could somewhat resemble major ‘Holocaust Memorial Day’ sites (eg, http://www.hmd.org.uk/about/), but its focus would be on the titanic struggle between Lies and the Truth. 1. Jacque Pressac’s magnum opus Auschwitz (1988), choc-a-block with plans and diagrams, somehow omitted mention of the swimming-pool in the camp . Built by the inmates, it had a diving board and 'starters' blocks for races. Inmates would sunbathe beside it on Saturday and Sunday afternoons, while watching the water-polo matches . 2. Still today, we can view the paintings from its art class. These may be somewhat melancholic (after all, two-and-a-half million tons of bombs were being dropped onto central Europe by the US/UK, targeting the cities) yet no means do they express despair. 3. The camp library had some forty-five thousand volumes for inmates to choose from, plus a range of periodicals. 4. Inmates were paid for their labour and services while interned at Auschwitz concentration camp [Berg, 2006], and special money was printed for their use. Through extra work inmates could obtain such coupons, redeemable for cake or ice cream in the Camp Cantina. 6. Also theatrical performances, including a children’s opera, were held at the centre. A camp theatre, where a rather saucy review was held on Saturdays . Today a convent of Carmelite nuns dwells there. The last pictures taken inside showed pianos and costumes and a stage where the inmates used to put on productions. 7. Birkenau at Auschwitz had its own soccer field, with weekly games between the SS staff and camp inmates, and a central sauna. There was also fencing class. The football field was adjacent to the site of alleged human gassing (i.e. the morgue, according to the design plans) so its hard to see how this fiendish process could have been carried on in secret, as normally alleged. 8. At the weekly camp cinema, mainly cultural and non-political films were shown. 11. Visitors were free to come and go at the Auschwitz camps, eg visits of the wives of the inmates took place. 12. In the summer of 1943 the camp brothel was established just inside the main gate, on Himmler’s orders, to reward privileged prisoners, with medical checkups before each visit. .
13. Women’s sections of the camps had female guards. 14. Letters to and from the outside world were collected twice weekly. A postcard sent from Auschwitz  dated 18 February, 1942 by Johann Klausa expresses the hope that his family is in good health and hopes they will write to him - he was eventually released from the camp, on 27 November, 1943. Considering that Klausa arrived in the camp on 25 June 1940, he sounds quite cheerful. 15. The Education Centre: In March 1944 Daniel K. became severely ill with diphtheria and was transferred to the camp’s hospital barracks. 16. Microwave delousing As part of the struggle against typhus, the cyanide-gas delousing method (using Zyklon-B) was partially replaced by micro-wave delousing process in May, 1943. State-of-the-art technology was thus taking place at Auschwitz, developed by the Siemens company, described by Germar Rudolf as ‘the world’s first technological predecessor to the microwave ovens in common use today.’ Birkenau was the largest labour complex in the Reich and therefore received this special treatment. Owing to Allied bombing its implementation was delayed and it did not become operational until the summer of 1944. It turned out to be highly effective, rendering clothing sterile and vermin-free in minutes. I consulted the author Carlo Mattogno  on the above list of items and he replied (16.6.07) ‘I have verified the affirmations on the basis of documents.’ That gives me confidence in posting this! But, do please write if you believe any of the statements above are incorrect. Any more details, or other sources supporting these points, will be gratefully appreciated. 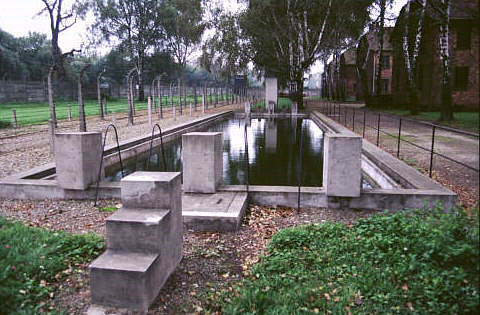 The Monowitz labour camp at Auschwitz was concerned with synthetic rubber production, and the degree to which this functioned effectively would indicate the level of camp morale. Birkenau was more an internment camp for gypsies, women and children, the chronically ill and those incapable of labour, also a transit camp . 1. 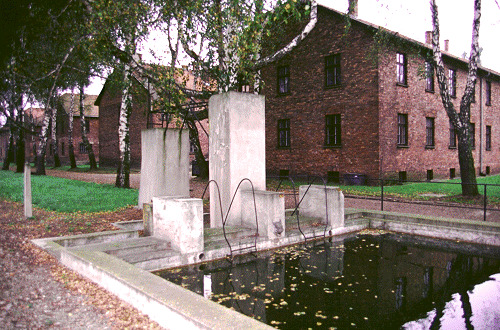 David Irving’s 1991 edition of The Leuchter Report first published an image of this pool. 6. Georges Theil, Heresy, In twenty-first Century France 2006 p.54. 7. 25 Jan 1995, Jerusalem Post Domestic Edn., The Rudolf Report 2003, p.49. 8. Data from the Auschwitz trial at Frankfurt, read out at the trial of General Remer on 22 October 1992 by his lawyer Hajo Hermann: The Rudolf Report, p.360. 9. Mark Klein, De l'Université aux camps de concentration: Télmorgnages 1947, p.26, quoted by Robert Faurisson, ref.2. 13. The Rudolf Report p.73. This is a very good little list of things you can bring forward when discussing Auschwitz, thank you. "Look, I was there, 25 of us were there, women talk. In our group there was a Doctor, there was a Chemist, the Nuns were Teachers, I was a Teacher and let me tell you if there had been anything suspicious there we would have known. If there had been millions killed the entire communities around this region would have known and would have talked about it to us. Remember rumours were everywhere, there was no TV and by then no Newspaper where ever we went locals would ask us about the where the Russians were or if the fighting was coming closer"
"The fact is none of us saw anything, heard anything or even suspected anything unusual about Auschwitz. The suggestion that the tired but extremely well mannered OLD gentlemen of the SS who treated us so decently, murdered millions of people in Gas Chambers is an outrageous, monstrous lie." And that, so help me, was what she said ten years ago to me. The area between Kremas 2 and 3, where thousands of people were marched daily to their deaths, was left completely unfenced. Doesn't the Auschwitz State Museum claim that the inmates would often "riot" as they were being marched toward Kremas 2 and 3? 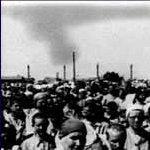 Kremas 2 and 3 [were] not hidden in any way from the view of the inmates… Why then were Kremas 2 and 3 put in plain sight of all sectors of the Birkenau camp, with no camouflage of any kind? * The previous year, this highly perceptive and discerning young Jew was, alas, silenced by a Jewish Mafia death-threat. Another swimming pool (in background) at the Mauthausen camp, undoubtedly a 'fire brigade reservoir'. I think the swimming pool is a bad example. It might have been intended for SS members only. Harald wrote: I think the swimming pool is a bad example. It might have been intended for SS members only. It seems a Mr. Marc Klein confirms inmate use of the pool. He mentions it at least two times in his recollections of the camp; De l'Université aux camps de concentration: Télmorgnages strasbourgeois, Paris, les Belles-lettres, 1947; and Observations et réflexions sur les camps de concentration nazis. There are several documents which prove that the SS policy towards inmates was the preservation of their labour capacity; the SS couldn't maltreat inmates and whoever infringed this rule would be punished. The SS also instituted productivity recompenses for Jewish inmates. Thanks to Mr Mattogno for permission to quote. First-hand testimony seems only available from the Frenchman Marc Klein. Mention of the pool first appears in 1985 at the Zundel trial in Toronto. ‘The working hours were modified on Sundays and holidays, when most of the kommandos were at leisure. Roll call was at around noon; evenings were devoted to rest and to a choice of cultural and sporting activities. Football, basketball, and water-polo matches (in an open-air pool built within the perimeter by detainees) attracted crowds of onlookers. 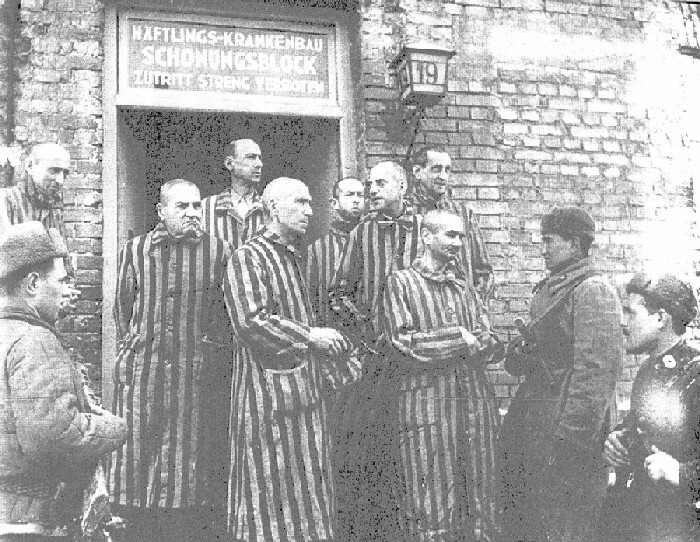 It should be noted that only the very fit and well-fed, exempt from the harsh jobs, could indulge in these games which drew the liveliest applause from the masses of other detainees.’ - Marc Klein, professor at the Strasbourg medicine faculty, 'Auschwitz I Stammlager' published in 1947 ( http://www.heretical.com/miscella/swimpool.html ) He had first submitted this recollection "to the reading and scrutiny of Robert Weil, professor of science at Sarreguemines lycée," who had been interned in the same camps. -	It seems to me that there should be a bit more of an account by Felderer somewhere, in this case. For the (absurd) claim that this pool was merely a water reservoir for use by firemen, see Laurence Rees Auschwitz, a New History 2005. Klein: De l'Université aux camps de concentration: Télmorgnages strasbourgeois, Paris, les Belles lettres, 1947, p. 453. Klein: Observations et réflexions sur les camps de concentration Nazis (booklet of 32 pages printed in Caen, 1948, p. 10; its text is a reproduction of the author's article published in Etudes germaniques, n° 3, 1948, pp. 244-275. R. Esrail, registration no. 173295, « Une piscine à Auschwitz », in Après Auschwitz (Bulletin de l'Amicale des déportés d'Auschwitz), n° 264/octobre 1997, p. 10). The Auschwitz Lie by Thies Christophersen provoked uproar when it was published in 1973, becoming an under-the-counter bestseller. It contrasted the scientific work at Monowitz for rubber-production with the bigger but rather seedy transit-camp of Birkenau - lying East and West of the village of Oswiecim. ‘I have stated the truth, so help me God,’ his essay concluded – not many people did that. The Kaiser Wilhelm Institut had a branch there, which T.C. joined. Having an agricultural training, he had been sent to a college which grew India rubber plants. Synthetic ‘buna’ rubber is made from carbon, lime and sulphur, plus natural India rubber to give cohesion. They obtained this from ‘Kok Sagis,’ a close relative of the dandelion plant, which had they found white latex in its roots, containing this India rubber. Fields of it were grown, at Auschwitz, and tyres were made from it, vital for Germany’s war-effort. There were some fine-looking ladies: ‘Surprising to me was the elegance of the inmates’ wearing apparel. Their outer garments did, of course, consist of uniforms, but all other apparel, including shoes, was of the finest quality, nor was there any lack in beauty care, and make-up was all part of the female dress. Every Saturday our women were sent to the main camp for an exchange of laundry and they brought back alluring bits of booty…’ In May his wife came to visit him: ‘we were able to have our relatives visit us at any time.’ She saw the work on the india-rubber fields. On one occasion I saw an SS guard kick a woman. I confronted him about this. He claimed that the woman had called him a Nazi pig, but the fact was that he had first insulted her. I reported this case and the SS-guard was sent to “Strafbataillon” in Danzig. From this day on, my favour with the inmates rose significantly, especially with those in Detachment 11. They often came to me with requests or complaints and I did whatever I could for them, because to me they were not enemies. Often, I did favours for them that were against regulations. Their greatest joy was for me to take them for a walk down to the river Sula, where on those hot summer days of 1944 I allowed them to go bathing. Once a week a film was shown. Camp supervisors and inmates jointly saw, amongst others, ‘Muenchhausen’ and the ‘golden city.’ Church services were held in community halls. I attended several myself and found them to be quite solemn, especially those of the Russian orthodox community, to which our Russian civil workers also belonged. A theatre group had been organised by the inmates and one evening they invited us to a performance of ‘Faust.’ Professional actors could not have put on a better show. During all the time I was in Auschwitz I never in the least observed anything that even indicated mass killings in gas chambers. Also the story of a smell of burned flesh that allegedly hovered over the camp at times was an infamous lie. In the vicinity of the main camp there was a smithy where horses’ hooves were shod. The burning of the horses’ hooves when fitting them with shoes naturally caused an unpleasant smell. He was present when ‘About every two weeks the SS officers met for a casino night. On these occasions, department leaders spoke about their particular field of work. I heard any interesting lectures there and I do not recall anything that might have been offensive.’ He found ‘not plausible’ the notion of experiments conducted on living human beings, about which he heard after the war. Last edited by astro3 on Thu Jun 05, 2008 3:55 am, edited 1 time in total. The smoking chimneys of the buna factories visible in a distance of some kilometers reminded us to the - compared with ours - much harder jobs being a heavy burden to the thousands of comrades at the neighbor camp Monowitz. It is hard to reconcile these two different accounts. On Sundays and holidays …. the great majority did not have to work. … In the afternoon, there were soccer-, basketball- and water-polo-tournaments under the vivid acclamation of the spectators… At a cinema, news movies of the Nazis were presented as well as sentimental movies. There was a rather popular cabaret doing frequent presentations, which were often even visited by SS-staff. Finally, there was a remarkable orchestra, which was manned with Polish musicians during the first time, which later were replaced by a group of first class musicians of all nationalities, the majority of them being Jewish. It would be good to have a bit more detail about this. The first part of the book is the longest and the most important ... edited in 1947; the author says, starting on page 19, that it was after the war he learned about the gassing of the Jews at Birkenau; he himself was working at Buna-Monowitz and had never set foot in Birkenau. Well how interesting that this famous industrial chemist, author of the classic The Periodic Table , worked in the synthetic rubber production labs at Auschwitz - and like Christoffersen never got to hear of any human gassings. I wonder ifhis book gives any details, that might corroborate Christoffersen's memories, about the industrial ruber production? Everyone knows of Primo Levi and some details of his lab work at A. would be of great interest. I believe Rajsko was located some kilometers south from Auschwitz I, II and III, but I may be wrong. I will try to find a map of the area.